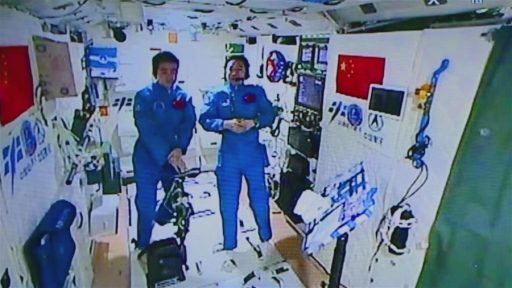 Shenzhou-11 commander Jing Haipeng and Flight Engineer Chen Dong departed their home in space at 4:41 UTC on Thursday after a stay of 29 days and 9 hours dedicated to a busy science schedule and proving the concepts of living in space long duration – learning critical lessons before deploying a large orbital station. 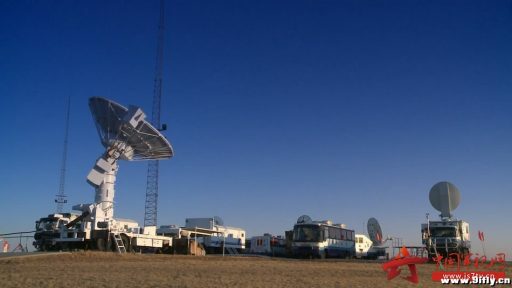 Landing is expected between 5:33 and 6:13 UTC on Friday in Siziwang Banner, Inner Mongolia, capping a flight of 32 days and 6 hours – more than doubling China’s previous record for the longest crewed spaceflight. 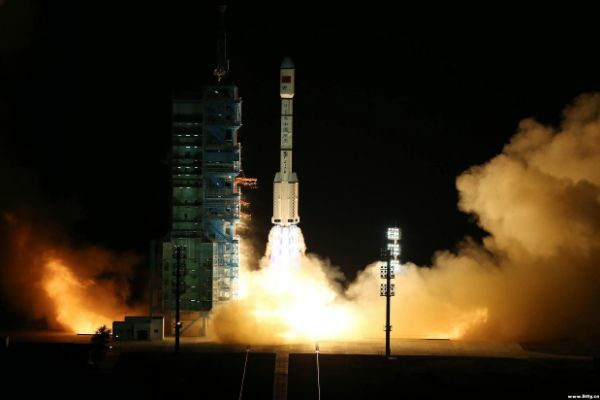 The Shenzhou-11 mission began back on October 16, 2016 with a thundering liftoff atop a Long March 2F rocket launching from the Jiuquan Satellite Launch Center. 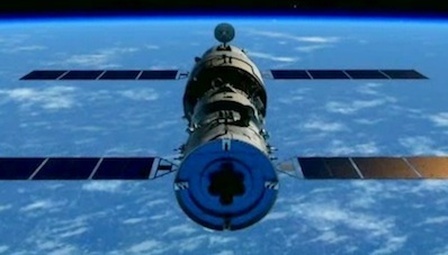 After a smooth climb into orbit, the veteran commander and rookie Flight Engineer were set for a two-day flight before arriving in the vicinity of the ‘Heavenly Palace.’ Employing a laser- and optical guided rendezvous system, Shenzhou-11 automatically lined itself up with Tiangong’s docking port and went through several approach stages. 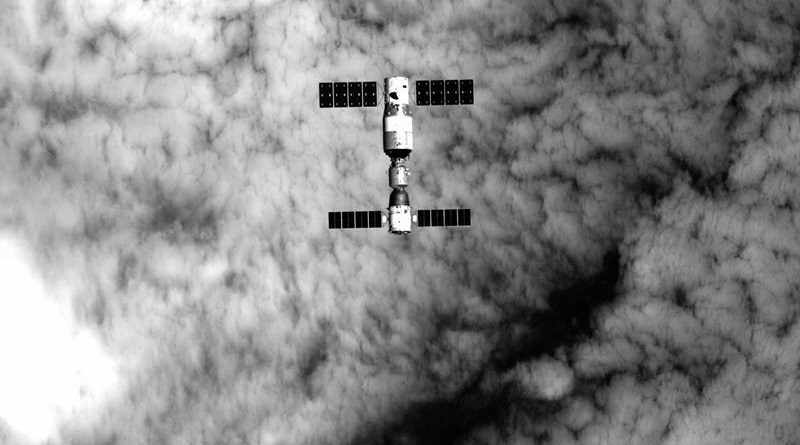 The spacecraft docked after a fully automated rendezvous, allowing Jing and Chen to enter their home in space after extensive leak checks. 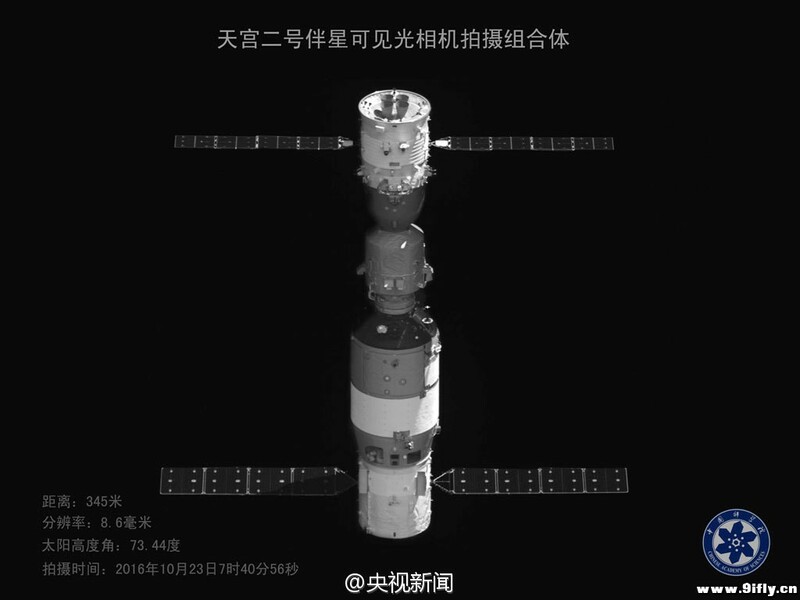 Aboard Tiangong-2, the crew found two sleeping stations, each with its own window, and plenty of scientific equipment that would keep them busy for their month-long stay. The two crew members worked a regular schedule of eight-hour work days, six days per week plus daily exercise sessions as would be required during longer missions. 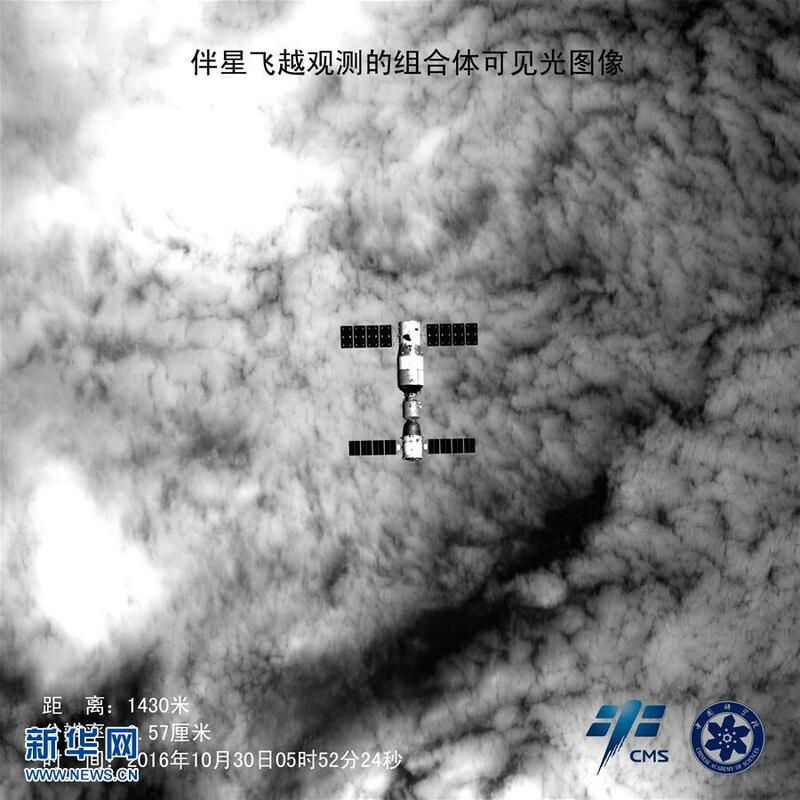 Also an effect of the longer mission duration: after almost-daily updates provided by Chinese media, the mission quickly vanished from the front page while the astronauts went about their business in orbit. Aboard Tiangong-2, the two crew members worked with a series of plant-growth experiments, attempting to grow rice and lettuce plants in microgravity to study the effect the space environment has on plant germination and growth. In addition to these cultivation experiments, Shenzhou-11 is flying a number of plant seeds including peppers, zucchini and different types of pumpkin to see whether their exposure to space will change their germination and growth properties. Silkworms were flown by Shenzhou-11 for a student-operated experiment that will answer whether silk produced in space is different from that provided by worms in Earth’s gravity environment. However, the most important test subjects aboard Tiangong-2 were the two astronauts themselves, testing the feasibility of different technologies to make crew habitation easier and studying changes in their bodies as a result of the long stay in space. With their mission coming to an end, Jing and Chen cleaned up the orbital laboratory, buttoned up all items and powered down various systems that will no longer be needed because Tiangong-2 is not planned to be visited by another crew. The astronauts thanked their ground team and everyone who supported China’s space program before floating into Shenzhou-11 and closing the two hatches separating the two craft. Following its departure early on Thursday, Shenzhou-11 completed separation maneuvers but remained in the same general orbit as Tiangong-2, slowly drifting to a safe distance for the deorbit burn. 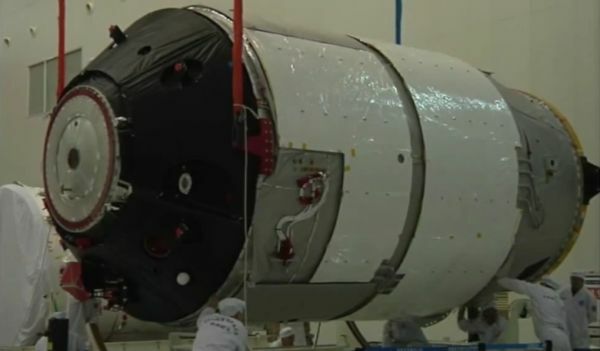 Typical for Shenzhou missions is the separation of the Orbital Module prior to the deorbit burn to operate for some time ahead of a slow decay from its 380-Kilometer orbit. 45 minutes ahead of the planned landing time, Shenzhou-11 will fire up its 2,500-Newton main engines for a retrograde braking burn of around 75 seconds to slow down just enough to to drop out of orbit. Separation of the Service Module comes two minutes prior to re-entry to allow the Entry Module to swing around to face its heat shield toward the direction of travel. Re-Entering the atmosphere, the Entry Module initially sticks to a pre-bank angle before entering active Entry Guidance during which the vehicle’s angle of attack is constantly modified to vary lift of the module in order to reach the targeted landing site in Inner Mongolia, a zone 30km in length and 15km in diameter. 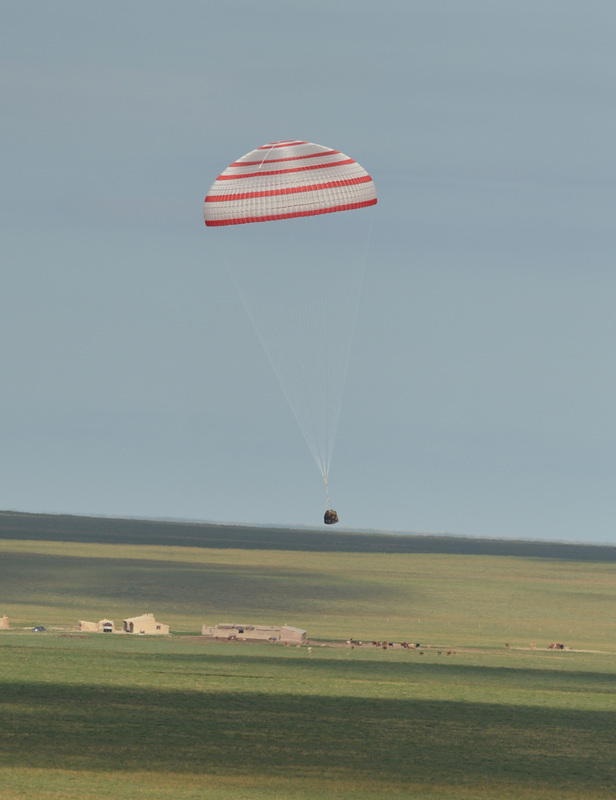 Parachute deployment comes at an altitude of 10 Kilometers using a three-stage system similar to that of Soyuz. Initially, Pilot Chutes are ejected to pull out a Drogue Chute that slows the capsule for the deployment of the huge main chute. Shenzhou’s main parachute weighs 90 Kilograms and has an area of 1,200 square meters to transition the spacecraft to a vertical descent and slow it to just 8 meters per second. Impact is cushioned by six solid-fueled rocket motors that slow the vehicle to a landing speed of 3.5 meters per second – still a noticeable contact. Recovery forces will be standing by in helicopters and ground-based vehicles to quickly approach the landed vehicle to help extract the crew. After initially not looking very promising on the forecast, weather in the prime landing zone will be favorable although a bit on the chilly side. Shenzhou-11’s departure does not mark the end of the Tiangong-2 mission. With no crew on board, the vehicle will re-activate its remote-controlled payloads including Earth-observation, space science and technical demo equipment. 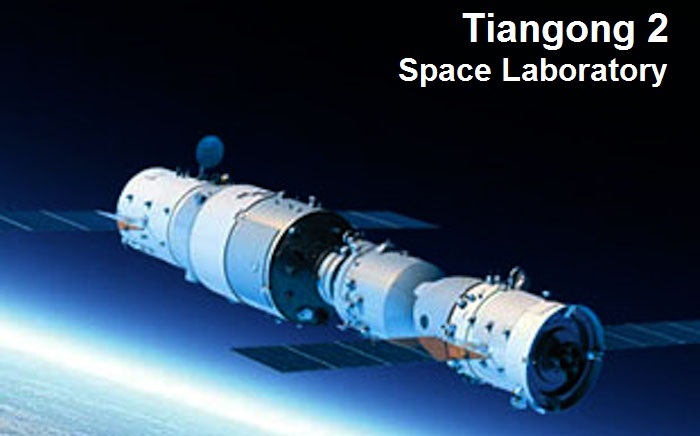 Another important demonstration mission to Tiangong-2 will come around April 2017 when the first Tianzhou cargo craft will take flight to demonstrate a docking with Tiangong-2 followed by the transfer of propellant of the space lab’s tanks – a critical requirement for a large space station to be kept in orbit for years or decades.